With almost 3000 miles completed in all kinds of differing conditions and roads, I’ve been seriously impressed with Metzeler’s Roadtec 01 tyres. With a big trip and a trackday approaching on the Ducati SuperSport S, I wanted something that could cope with both ends of the riding spectrum. The Roadtec 01s were selected as the tyre of choice and on my 1300-mile round trip to Scotland I was impressed by their ability to cope with the varying conditions. Despite a lot of motorway miles, they kept their shape and tread pattern and within a week were being called on to supply great levels of grip and confidence on a wet-but-drying Rockingham racetrack. They coped admirably, although they did start showing some signs of wear as the track dried. Now they have completed almost 3000 miles, they are still performing. I am not sure I’d tackle another track day on them, but they’re fine for cold and wet commutes. They also won MCN’s coveted tyre of the year award for two years on the trot too. 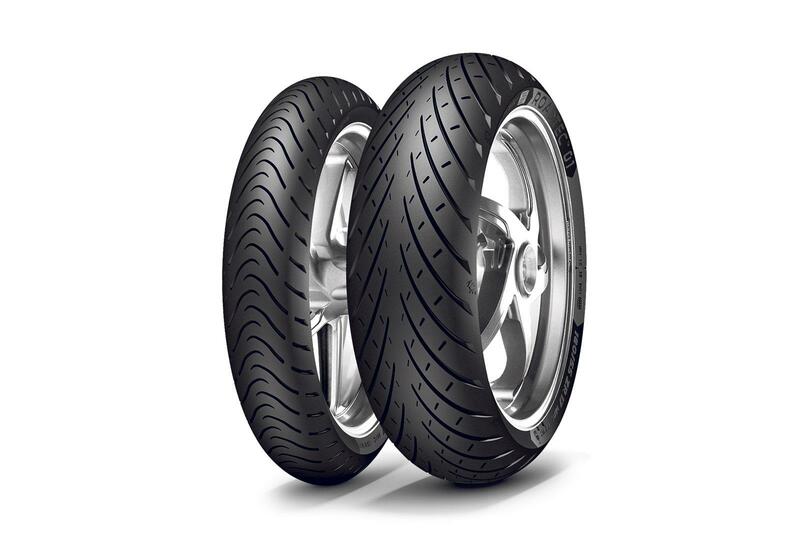 The Roadtecs have a shorter but wider contact patch than the Z8s they replaced, which is meant to improve corner grip and feedback – I’m not a good enough rider to notice the difference and the Z8s are about £50 a set cheaper.